Making a Good Workplace Great. Spindle saves commercial laundries millions of dollars. How? By improving employee productivity and maximizing equipment utilization. Rising labor costs and a shrinking labor pool put extra emphasis on the need to improve operational performance in order to stay competitive. 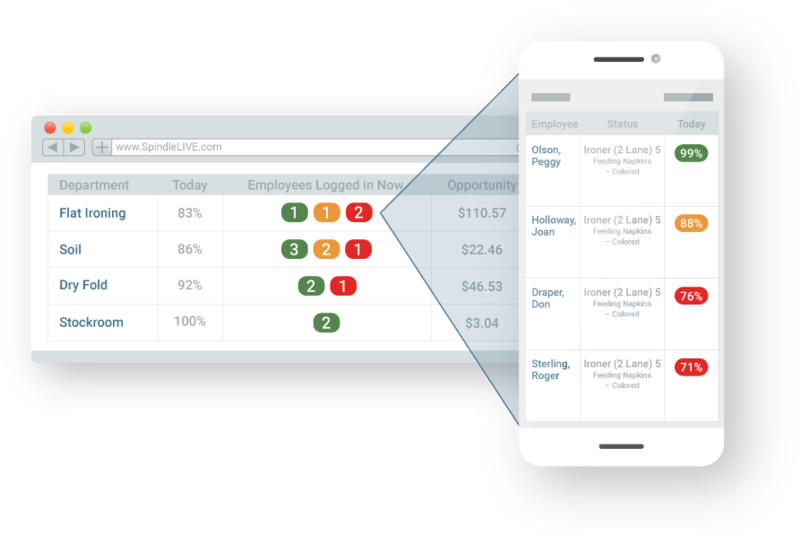 Spindle provides your team with the tools to get more out of every process within your plant. At Spindle, we know great managers deliver great results. That's why we empower managers with the right tools to help lead their teams more effectively. Spindle captures the productivity data on every process within your facility to provide you with a holistic view of your plant. You can view real-time performance by department, classification, equipment, or employee. All the data collected is connected to the cloud, meaning you can access and analyze your plant's data from anywhere. Welcome to the "Internet of Things"! No need to wait on end-of-day reports or rely on already outdated whiteboards. Spindle automatically collects data from around your plant and displays the real-time analysis of your operation in dashboards designed to make your numbers easy to understand. We're constantly improving our platform with new features delivered every month. Working with Spindle means you gain access to the latest technological trends. Use advanced reports to find areas around your plant that have the most opportunity for growth. Track equipment downtime, maintenance activities, and dive deeper into the top equipment failures to help improve overall equipment availability. Understand energy usage to lower operating costs and improve equipment performance. Quickly identify production shortages, overages, or delays and accurately reallocate resources where needed. Get notified immediately when something goes wrong. Quickly move resources around to continue production while maintenance resolves the issue. Our decades of industry experience allow us to quickly find inefficiencies around your plant and help you improve your operations bottom line. So, How Does Spindle Work? Our team pulls together islands of information from around your laundry and communicates it to the cloud in real-time. 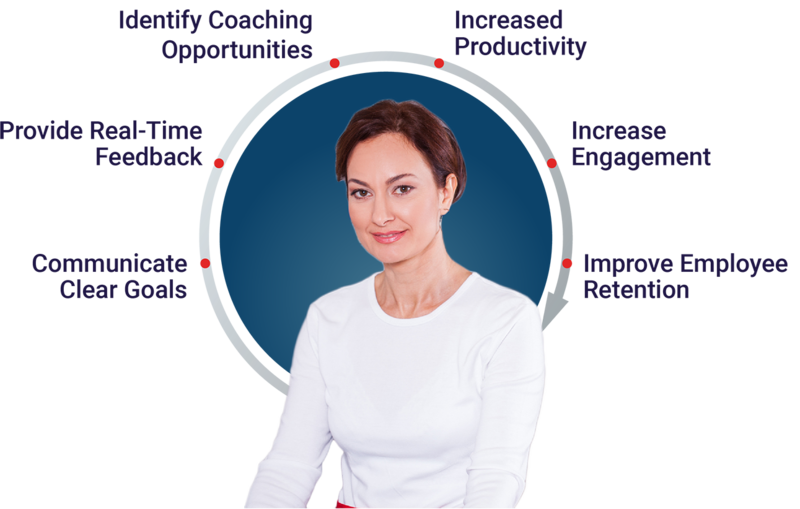 Your employees receive instant feedback on their performance as they work throughout the day. Management analyzes performance by department, classification, equipment, or employee and uncover areas of opportunity. Spindle offers a powerful platform to capture the data that already exists in your plant. 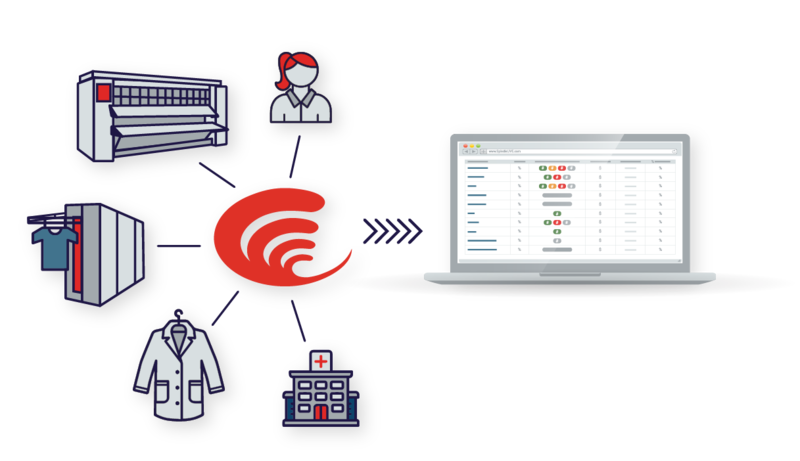 Start using our laundry management software today to unlock the potential of your plant. Gain access to real-time data in your plant to help eliminate overtime and increase output with SpindleLIVE. 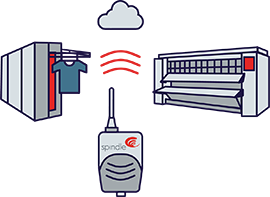 Minimize equipment downtime and identify bottlenecks in your plant with SpindlePRO. Understand trends regarding your energy usage to find saving opportunities throughout your plant. "The ongoing monitoring by Spindle and regular feedback with actionable information is what sets them apart." 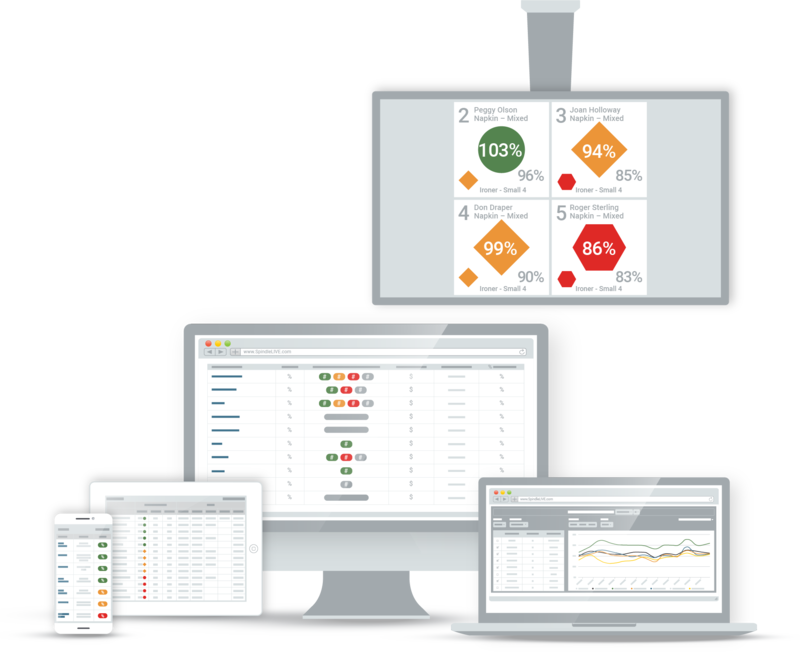 Schedule a demo to gain access to unrivaled insights into your commercial laundry.